There are two primary reasons why a person might buy a hybrid. 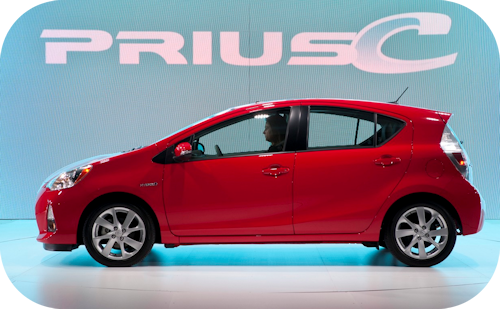 #1 is gasoline savings, which are offset by the higher price tag of buying a hybrid. You will save money on gas over the long term with a hybrid car, but if you can find a way to get a hybrid for less or learn how to get the most savings out of hybrid then that will be an added bonus. The second and most common reason for buying a hybrid is a smaller carbon footprint. Its the car of choice for environmentalists, vegans and all sorts of hippie treehuggers. And Hollywood celebrities. And anyone who just likes to brag about owning a hybrid. And anyone who wants a chick magnet for hippie-chicks. Some people think that hybrid cars are good for the environment because they run (partially) on electric power, but that is actually confusing because in truth hybrid cars still harm the environment (because they still use fuel), but they are LESS HARMFUL than normal cars because they don't use as much fuel. Yes, you are getting better gas mileage, but you're not really saving the planet. If you really want to save the planet you need to be riding a bicycle to work (or get a purely electric car with no gasoline engine, or even better a hydrogen car that produces water instead of smoke). Buying a hybrid car is much like buying any other car. You will want to weigh your options. New or used? What is the fuel economy? How much do you currently spend pn gasoline per year and how much is your projected savings if you buy a hybrid with a certain fuel economy? Doubtlessly you will want to do a lot more math than you normally would when buying a car. Buying your first hybrid car can be a bit overwhelming if you start calculating based on the math alone but there are some very important pieces of information any prospective hybrid buyer should know prior to making the purchase. Hybrid cars have not been around too long but there are some on used car lots today. Thus purchasing a used hybrid car is not out of the question and you can get one for a much lower price. And the good news is that that electric engines only have 1 moving part and therefore require very little maintenance, but the gasoline engine will still require maintenance just like a normal car. You will also want to weigh options like brand (Toyota is the clear leader in this category), colour, safety features, car seats, roominess, etc. The amount of trunk space is clearly a matter of personal needs. Another thing you shouldn't ignore is insurance. 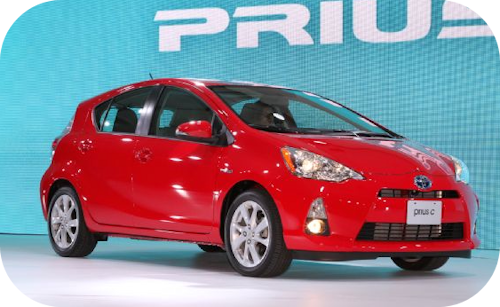 Some cars will cost more to get insurance for and hybrid cars are typically costlier to insure. And then there is the matter of the dealership. Do you buy from a local dealer or do you shop around at cities within an 8 hour drive to try and get a much better deal. eg. If you live in Canada its typically cheaper to buy an used car in the USA because of the high Canadian dollar and the weak American dollar. You will still have to pay a tax to bring the car into Canada, but the savings will still be significant. 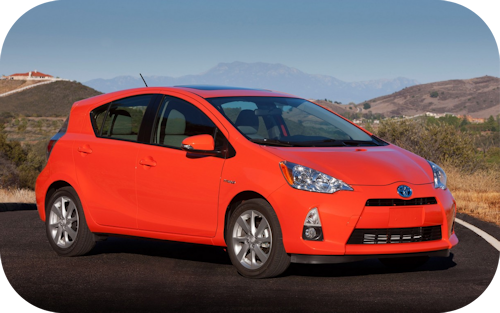 It is recommended that you browse different dealerships online like Prius C Dealers before making a decision on what and where to buy. If there are local and federal tax credits you can also get a deal on buying a hybrid car, but be sure to do the math and make sure the car you are looking at is elligible for such credits before you buy it otherwise it might not be as affordable as you think. #1. Sometimes the demand for gasoline causes the price of hybrid cars to also go up. When gas prices in the USA went above $4 in some states the price of hybrid cars across the USA also went up because of the sudden demand and lack of supply. #2. To save weight the gasoline engine in a hybrid car is smaller, so don't expect a lot of horsepower. #3. There are three types of hybrid engine systems. The first "normal / older" hybrid system is the parallel hybrid system where there is both a gasoline engine and an electric engine. In this system the gasoline engine is used when traveling at high speeds and also uses power to feed the battery system (which powers the electric motor at lower speeds). The second "newer" system, called a series hybrid system, gets rid of the gasoline engine and replaces it with a gasoline generator which sends electricity to both the batteries and the electric engine. Very few cars use the series hybrid system, but it is a more efficient system of getting power to the wheels, saves on weight and gets more fuel mileage. Its new and very rare, but will someday like surpass the older parallel system. #4. Always remember that you still need gasoline to run the vehicle. The hybrid car can run on electricity alone, but it won't get very far on a low battery. #5. Hybrid cars can recover energy used when braking. The vehicle will store that recovered energy in the batteries for future use. This feature is known as regenerative braking. #6. Remember that you will eventually have to think about battery replacement. Many prospective used hybrid car buyers want to know whether or not their vehicle and its parts will be durable over the long run prior to making a purchase. The cost to replace a hybrid car's battery, after the warranty period has ended, is considerably higher than most people expect, which should be noted prior to vehicle purchase. A conventional car battery costs anywhere from $90 to $120 to replace while a hybrid car batter will cost the owner $1,000 to $5,000 to replace depending on the type and availability.